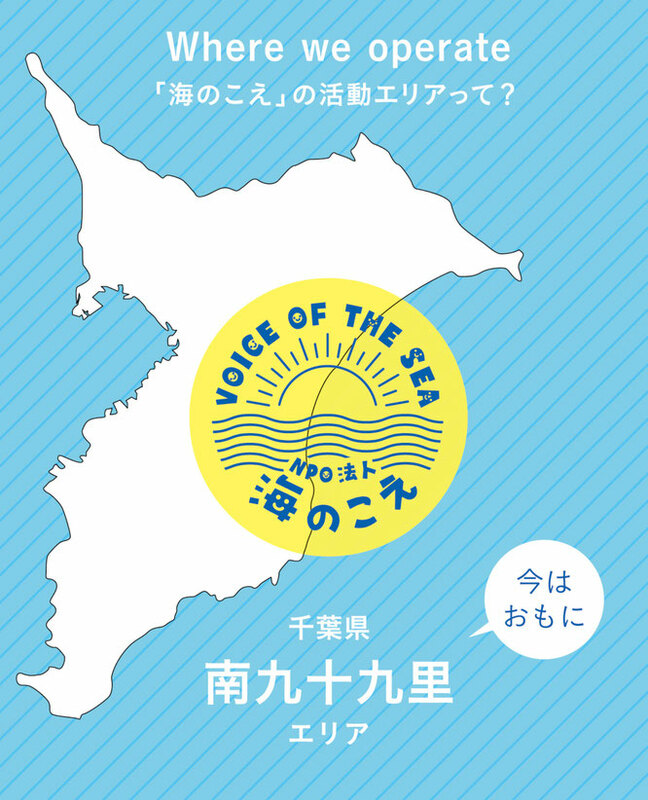 NPO Voice of the sea (NPO法人海のこえ) is an environmental group focused on coasts and beaches. At the oldest and finest beaches in Japan, there are large amounts of cement coast into the ocean, the beach line is thinning, and the water quality shows signs of pollution. After hearing many people even vaguely talking about these topics, what type of situation would you think the sea is in? For us at Voice of the sea, we went to understand the sea's voice (the messages left by the sea), to information as many people as possible about the sea, and to ensure that the next generation has a better beach environment than what we have today. For this reason, every day, we are actively trying to preserve the beach. In order to accurately understand the sea's present condition, we measure radioactivity and bacteria in water (seawater) and marine sediment (sand) collected from the sea. We hold environmental study lectures at elementary school so that we can teach the children about the sea's present condition and about the joys of the sea. At NPO Voice of the Sea, we hold many events about environmental awareness so that other can know about their environment. Participate in and support our cause, listening to the sea and spreading her voice. Copyright©2017 Uminokoe All Right Reserved.